Most of the first half is concerned with lotteries as a form of gambling, but my interview (which starts at 17:23, in part 4) focuses upon the social and political uses of lotteries. I don’t think it came off half-bad. In recent years, democrats both inside and outside the academy have begun to reconsider the merits of the age-old practice of sortition, the random selection of political officials. Despite this fact, however, the comparative assessment of the merits of voting and sortition remains in its infancy. This paper will advance this project by treating the problem of assigning public responsibilities as a problem of allocative justice. To treat the problem in this manner is to treat public office as a type of good to which citizens might have various claims. Random selection is the appropriate method for distributing public office when all citizens have equal claims to that office and there is not enough to go around. Universal distribution is more appropriate when all claimants have equal claims to the office and there is enough to go around (as with universal suffrage, for example). Election (or possibly other procedures, such as appointment) makes sense when citizens do not enjoy equal claims to the office and that office is in scarce supply. This approach captures a crucial component of democratic equality. Different understandings of democratic equality lay behind sortition and election. Each might be appropriate under different circumstances, but both place rights-based constraints on the design of a democratic political system. It is quite easy to compile a checklist, perhaps even a decalogue, of differences between their democracy (or rather democracies, as there was no one identikit ancient model) and ours (ditto). And in no respect did they and we differ more than on the issue of sortition, that is, the application of the lottery to the conduct of politics (another Greek invention, both the word and the thing, with – again – the accent to be placed on difference as well as similarity between theirs and ours). 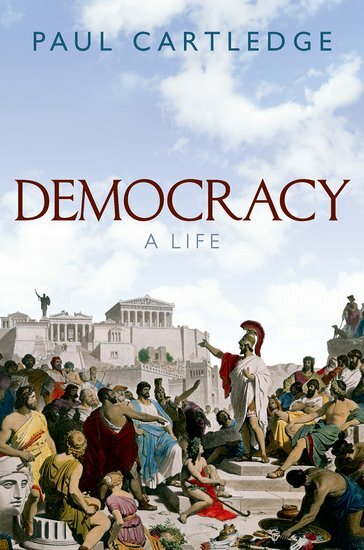 We today take the exercise of voting in either general or local elections to be the very quintessence of what it is to do ‘democracy.’ The ancient Greeks took the exact opposite view: elections were elitist and for the nobs, appropriate more for oligarchy (the rule of the few rich) than for democracy (the rule of the masses, most of whom were poor), whereas sortition, the lot, was the peculiarly democratic way of selecting most office-holders and all juror-judges to serve in the People’s jury-courts. Just saw the following event announced on PHILOS-L. Anyone know the speaker? Free entry- all welcome – no booking required. Please arrive early to secure a seat and enjoy a drink on us! Chance has been raising intellectual passions at least since the concept of probability emerged firmly in the 17th century, in connection with both evidence in jurisprudence and regularities in so-called “games of chance”. Probabilistic thinking soon spread everywhere: from actuarial science to population statistics, from the calculus of expectations to decision theory, from measures of experimental error to quantum mechanics. Ideas of pure chance and randomness infected general culture and even the arts. Yet, there have been many attempts to deny the reality of chance. Those in denial have typically tried to explain away chance in terms of something else, something less “fickle”, “elusive” or “ephemeral”. But there is deep disagreement as to what that something else may be. Objectivists aim to analyse chance in terms of proportions in real or virtual populations. Subjectivists aim to analyse it away as a feature of the architecture of cognition – such as information, or partial degree of belief. Yet none of these denials of chance seems to apply across the board and, as I show, they are all subject to important conceptual objections anyway. I conclude that chance matters, not only to many areas of philosophy but also to social policy, and how we conduct our lives in general.